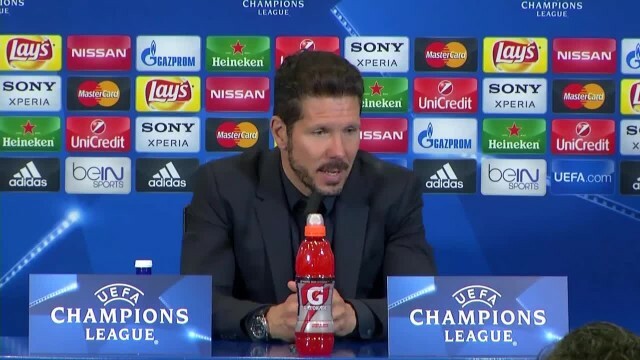 Atletico Madrid head coach Diego Simeone praised the way his side played against Barcelona in both legs of their victorious Champions League quarter-final. 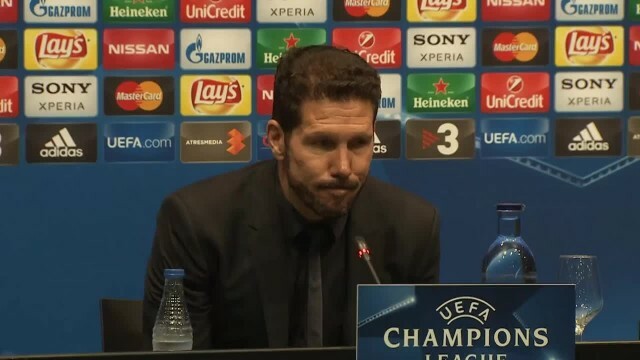 Atletico Madrid manager Diego Simeone says he is proud of his players despite Tuesday's Champions League defeat to Barcelona. 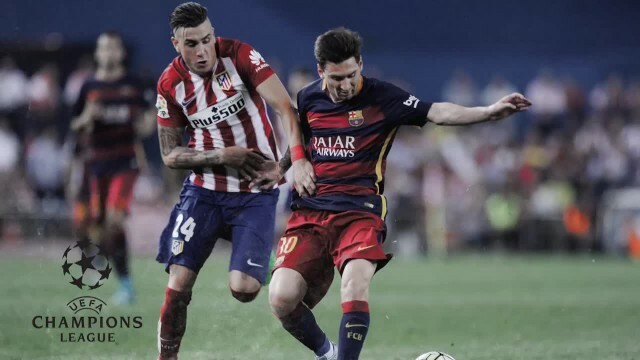 Luis Enrique and Diego Simeone preview the UEFA Champions League quarter-final first leg clash between Barcelona and Atletico Madrid. 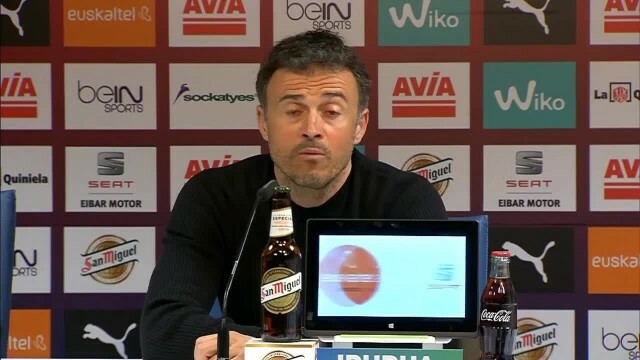 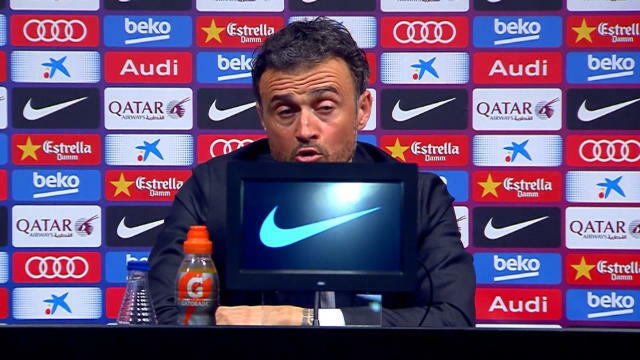 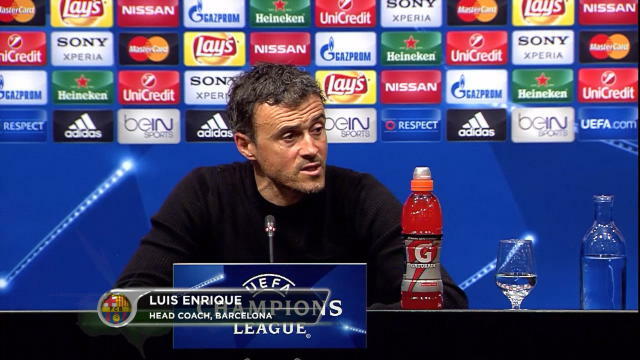 Barcelona head coach Luis Enrique says he was impressed by his fringe players in Sunday's 4-0 rout of Eibar. 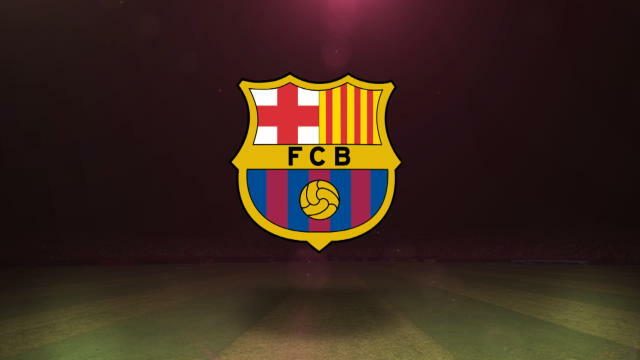 Barcelona have set a Spanish record - 35 consecutive games unbeaten across all competitions - following a 5-1 win over Rayo Vallecano in La Liga on Thursday.